From DreamWorks, creators of highly successful animation such as “Kung Fu Panda,” “How To Train Your Dragon” and “Madagascar” comes “Trolls,” the most smart, funny, irreverent animated comedy of the year. “Trolls” takes the audience to a colorful, wondrous world populated by hilariously unforgettable characters and discover the story of the overly optimistic creatures (Trolls), with a constant song on their lips, and the comically pessimistic Bergens, who are only happy when they have trolls in their stomach. 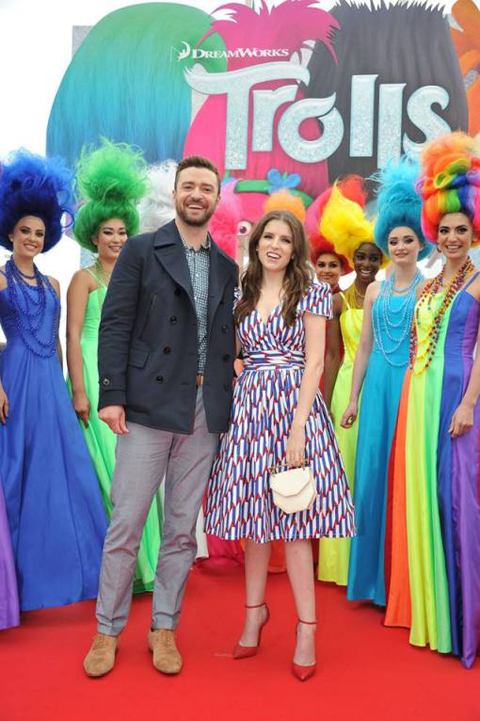 “Trolls” features the voice of Anna Kendrick as Poppy, the optimistic leader of the Trolls, and her polar opposite, Branch, played by Justin Timberlake. Together, this unlikely pair of Trolls must embark on an adventure that takes them far beyond the only world they've ever known. “Trolls” also features the voices Russell Brand, Zooey Deschanel, James Corden, Kunal Nayyar, Ron Funches, Icona Pop and Gwen Stefani. DreamWorks' and 20th Century Fox’s “Trolls” is a fresh, broad comedy filled with music, heart and hair-raising adventures that will open in cinemas nationwide on October 26.